Electricity Map .org has added a new feature whereby it is posting a running graph of CO2 emissions for each country or grid area. They state that their values are calculated to include their best estimate of lifetime CO2 emissions including manufacture, install, operation, and refurbishing/ decommissioning of each generation method. Then there's the Scalextric solution. 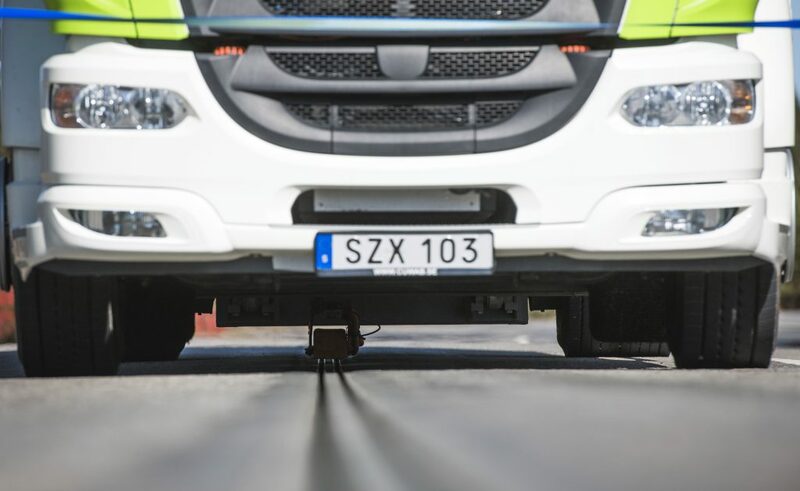 ... at a cost of €1 million per kilometre, the cost of rolling out the technology to more of Sweden’s roads and highways, and to the EV-driving public, is estimated to be 50 times lower than that required to construct an urban tram line. The problem isn't so much one of education, it's of interest. Knowing something is meaningless unless we're motivated to do something about that knowledge. As you point out, people want to watch mindless stuff to occupy their bored and underutilized minds. Climate change is not an existential threat. Show me someone with compelling data to suggest it is and I'll be open to the idea. I've not heard anyone but environmental extremists suggest humanity is seriously threatened by GW. I agree that freedom is conditional, which is why I'm not a Libertarian. Their attitude often is something along the lines of "what do you care if I pee on my end of the pool". The thing is, when everyone is peeing, it takes a united effort (global) to have a meaningful impact in a just way to every person. Inefficiency – Inductive charging is not as efficient as direct charging. In one application, the phone being charged gets hot. Continued exposure to heat can result in battery damage...the Magne Charge vehicle recharger system employs high-frequency induction to deliver high power at an efficiency of 86% (6.6 kW power delivery from a 7.68 kW power draw). There is no way inductive charging was nearly 100% efficient, unless we consider something like 75% to be "nearly". The systems built into the road are even less efficient than this. I got sidetracked and didn't look for the article I was thinking of. And it struck me,that GM never said the charging system was close to 100% efficient,only the paddle-to-port transfer by itself. I hope the drivers don't go to fast in the turns. *They present Mark Jacobson's Road Map for the United States,starting on page 66. He prefaces his comment,indicating that the Road Map would run up against politics,regulations,social barriers,political influence of oil,gas,and coal industry. Brick never argues the substance of the plan. *about the cost of a bacon,egg,and cheese croissant at a local Donut store. Craig Welch,of Nat.Geo. comments that '...Jacobson's work at least offers a starting point.' Page 67. I will just put up my own solar power I don't need the government to screw it up. Last edited by oil pan 4; 06-09-2018 at 05:46 PM..
1 million 2.5 MW wind turbines and 5,000 Solarstar sized 500MW solar farms together covering 130,000 square miles. $15 trillion. We already have $20 trillion in national debt that will never get paid back. And there would still be days long selctive black outs due to a very minimal amount of storage as part of the plan. And the electrolytic Hydrogen conversion of all heavy machinery and transport is just wishful thinking. As is the underground thermal storage system that is part of the roadmap. ect. The Tesla BigF'nBattery in South Australia is running at 82% roundtrip efficiency. The poster on the other thread also added charts showing SA's 1.8 GW of installed wind generation running at 4.3% capacity over the 3.5 day snapshot. I'm not sure that this is needed, though, to keep things safe. What was the rate of charging for this? I think for higher charging rates, that direct contact of DC connectors is needed.